You are looking for a church. So, like most people, you go online and use the search engines to find a church near you. You find a church from the first few results in the search engines and visit their site…and then visit the church. This is something people do everyday. Maybe they are moving to a new town. Maybe they are looking for answers. 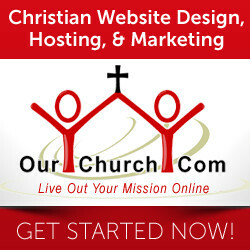 They are on the web, looking for your church. If you don’t make sure your church’s website ranks well in the search engines, you will miss out on new visitors, new members, and being able to share the love of Christ with them. Top Rankings in Google, Bing, and Yahoo…Guaranteed!! We guarantee at least 100 Top Ten Rankings! You’ll be listed in the Top Ten Rankings in Google, Bing, and Yahoo and local search engines, like Google Maps. You will be listed in other places people look for churches, such as church directories, local review sites, and the Internet Yellow Pages. We target your church’s city and surrounding cities.